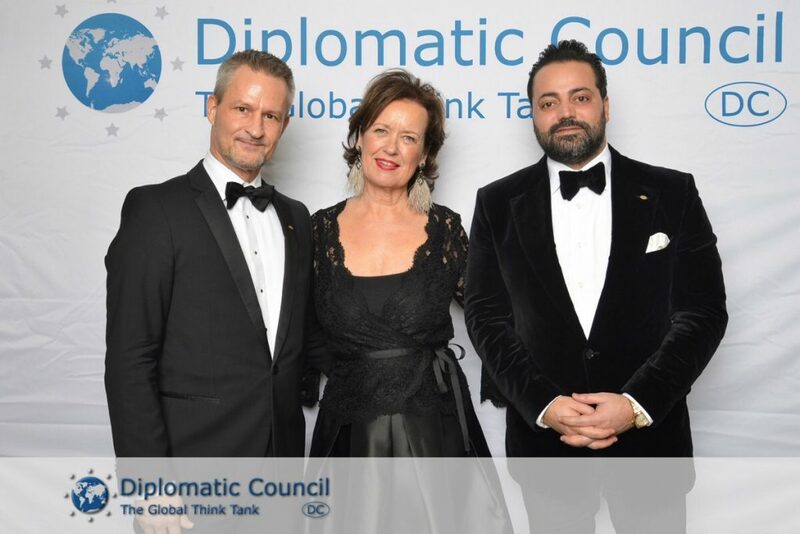 The Public Diplomacy [JB emphasis] Award presented by the Diplomatic Council together with Diplomat Magazine was accepted by the Ambassador of the Republic of Croatia, Dr. med. Gordan Grlić Radman, visibly moved. Dr Mayelinne de Lara, publisher of the 1.5 million readers worldwide leading diplomatic magazine, presented him with the prize sculpture. At the same time, the Croatian ambassador was solemnly accepted as an honorary member of the Diplomatic Council.